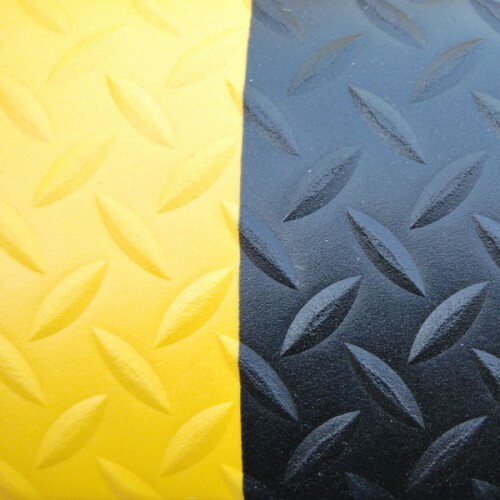 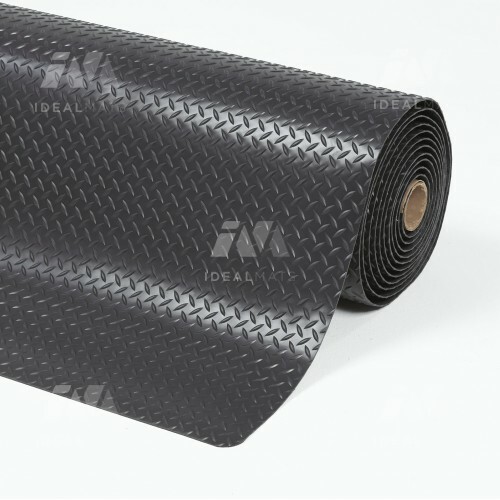 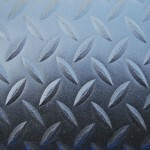 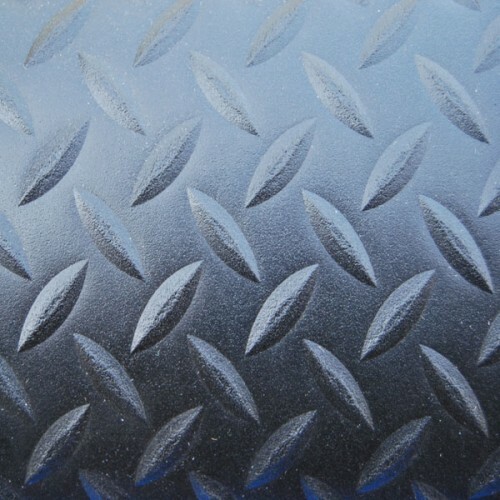 High quality 14.3mm vinyl sponge design provides a heavy duty industrial grade anti-fatigue product. 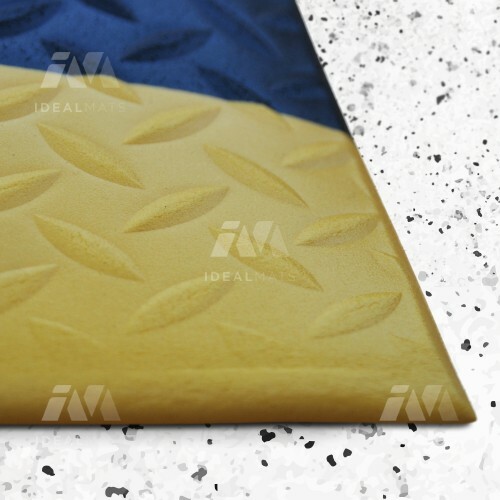 Slip resistant deckplate design bonded to the dense sponge ensures optimum worker comfort. 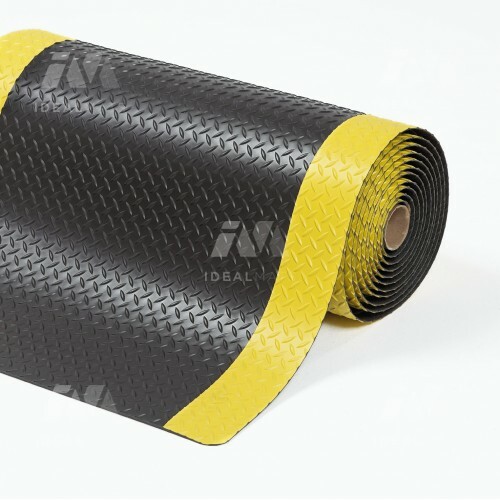 Available in black or black with yellow safety borders. 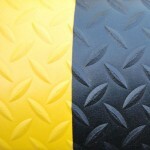 Also available in other specifications - please see Standeasy Rib,Pebble and Super Plus.